Perhaps best-known for her stunning recordings with the medieval group 'Sinfonye', Stevie Wishart is also a renaissance woman in that she is a scintillating improviser. She has gathered around her friends with whom she often works in live performances for this unusual and original set of improvisations. 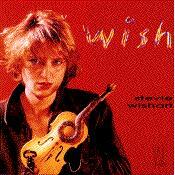 "…the energy of Stevie Wishart's music jumps right out of the stereo and snaps at your ankles. This collection of compositions and improvisations… is dynamic and compelling.…even if Wishart's work sometimes screams at you, demanding to be heard, this is ultimately welcoming music. It may drag you inside, but, once there, you are permitted to wander around the labyrinth of imaginative structures at will. Recommended."